If you've ever attended a Boards and Brews night at T-Bones, then you already know it's a blast. If you haven't, you're in for a real treat!! 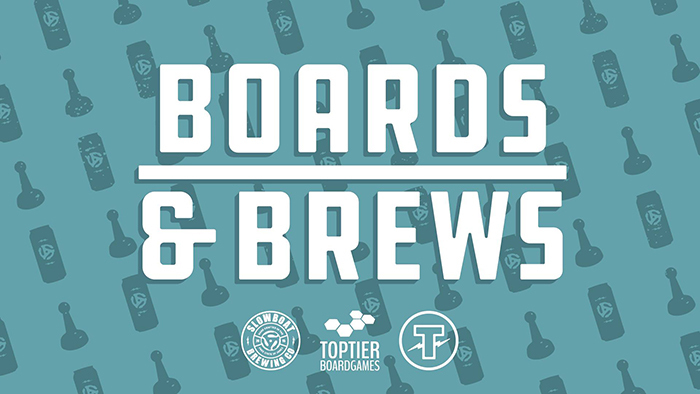 Top Tier Board Games and Slowboat Brewing Company converge at T-Bones to bring you a night of the best in tabletop gaming and the best in local beer! Bring your whole crew, $5 to play (and you'll get $5 off your next Top Tier purchase) and we'll do the rest: games, growlers, and grub! $30 Standard PPTQ - Win a Playset of Shocklands!